Great visuals explaining the history of westward expansion in the USA. This is the bible for serious map collectors. Lists most atlases published before the 19th century. Black and white images of some maps. Another great present for anyone interested in antique maps. How to Choose Antique Prints? Here are 5 tips for choosing the perfect original old print for you. Look through the categories on offer. When our customers visit us at an antique show or through our website they have many categories to choose from. Look through the titles of categories that spark an interest. You love your garden? Then look for the Botanical prints category. You studied interior design or architecture in College and loved it? Then look for the Interiors & Architecture category. This is where you determine what you are going to do with the antique print. Is it a gift for your husband, child, friend, or even better yourself? You have an empty space on the wall you wish to fill with old vintage prints? You need to decorate the office, living-room, bedroom? You have a project, now you need to decide how much space you want to fill on that wall or how many gifts you need to get. Write it down so you can focus on your goal, you are about to dig in and hunt for the perfect antique print! Let’s say that your identified interest was Bird Prints. You have located the category. You have determined that your project is going to be a wedding gift and your plan is to get six of them. Now you have to find the best antique prints. Start looking through what is on offer. Every time you see a fine bird print, write down the reference number or add it to your wishlist. 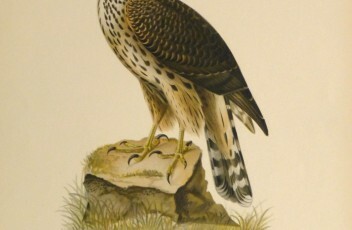 You are looking for six pieces, pull out or choose 12 to 15 of your favorite antique bird prints. 5. Choosing the best antique prints. Spread out your selection to see the big picture. Is there is one you don’t like, or that looks strange: good! Take it out. Keep doing this. By process of elimination you will narrow it down to the six you love. Problem: you can’t decide and you have eight bird prints. Start pairing your bird prints together and choose your favorite of the two. Before you know it you are going to have your perfect six! You want to choose what feels and looks right to you. We are all different and we have different tastes. Trust your judgment. Do the colors appeal to you? Am I comfortable with the size of the antique prints? Are the prints within my budget? These are valid questions and you are the best person to answer them. Now is a good time to look at what we have on offer. 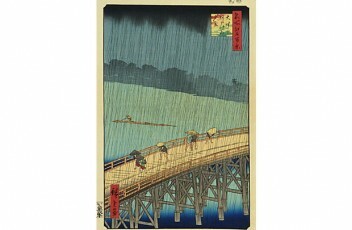 Visit us as MAPSandART.com to shop for authentic old vintage prints, original artwork on paper and antique maps. A must for all collectors of maps of Texas – Maps of Texas and the Southwest by James Martin. This is a beautiful books with lots of interesting maps and descriptions. A perfect present for your favorite map guy! What are our favorite restaurants at Round Top? Well, many people ask us “where should we eat when we come to Round Top?”. There is an almost bewildering choice from small “shacks” and food trucks to restaurants that like to think that they are gourmet restaurants. I have to admit that when we are doing Round Top, we don’t get to eat out as much as we would like to. Our Blue Hills at Round Top location stays open until 6pm most nights of Antique Week, and even though that’s not too late, by the time we close up all David and I are ready for is a shower and sleep! But over the many years that we have been coming to Round Top we have eaten in quite a few restaurants. If you are coming to Round Top from the Big City, (well, most towns qualify as the Big City in comparison with Round Top’s population of 93) remember that restaurants close early here – best to find somewhere to eat before 8pm. When we do get out and about here are some of our choices, plus recommendations. They describe their food as “sophisticated comfort food”, also famous for their pies. Large portions. Need reservations several days ahead for dinner during Antiques Week. Gets very busy. Reservations advised during Antiques Week. Texas BBQ, and all profits go to charity. Open 11am – 3pm only. Here is a question that we often answer to our clients. Woodcuts have a lot more work in them than first appears to the unpracticed eye. Without actually seeing how the process is done, few people can grasp even the concept of how a woodcut print is made. When is Round Top Antique show? This is a question we get quite often. Round Top happens twice a year in the Fall and the Spring. The show is promoted for what is called Antique Week, but this can be misleading as many venues at Round Top are open several weeks earlier. This Spring 2016 Round Top is going on from Saturday 19th of March to Saturday 2nd of April. There are a whole bunch of different venues to shop for antiques, some open even before March 20th and all the shows are in full swing with the opening of Big Red Barn on Monday March 28th 2016 and Marburger Farms on Tuesday 19th March. You could say that the core of Antique Week is going to be Monday March 28th through Saturday April 2nd. Everyone will be open, but some of the best things may already be gone! By Sunday 3rd April everyone is packing up with many antique dealers on their way home. During Round Top we sell antique maps, prints and original works of art at one of the best locations of all the shows : Blue Hills at Round Top in Barn A. Come and see us. There is more information about Round Top on our Blog. Check out our show schedule for more Round Top dates. Where can I get WIFI at Round Top? Being out here in the middle of the rolling green hills of Round Top, TX is beautiful, and now there are options for getting WIFI. Many people connect through their accommodation, and that would be the best bet, as the places below can get busy at peak times, meaning a very slow connection. The Lounge at Marburger Farm has WIFI, and encourages all Bloggers to sit down and write about the show whilst you are there. Oaks Family Restaurant south of Warrenton on 237 towards La Grange now also has WIFI. Sit under the trees and check your email. If you need a computer the Round Top Family Library on the Round Top square has a couple of computer terminals. Donations are welcome, but not necessary. 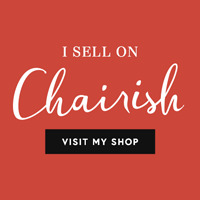 Come and see us on Chairish.com! Don’t forget that we have a special collection available exclusively on Chairish.com. New pieces added to the selection weekly. Come and give us some love! Where is the party at Round Top, TX? Even though David and I are hardly ever awake past 10pm during Round Top, there are several places that cater to the party crowd, who have much more stamina than we do. Here are some ideas to find a party at Round Top. The biggest party at Round Top is Thursday of Antiques Week is the Junk Gypsy’s Junk-o-Rama Prom night which starts at 7pm. It’s time to dress up and party. There’s a fun guide to what to wear at http://cactuscreekdaily.com/love-it/junk-gypsy-junk-o-rama-prom-what-to-wear-guide. If you are in Round Top on any other night head down to Zapp Hall in Warrenton, TX where you can have a glass of bubbly – champagne or beer and listen to live music outside under the Texas stars.